We hope to have carrots, beet greens, small salad mix, sweet summer turnips, gai lon leaves (they are like kale, but sweeter), fennel, and a choice of spinach, small gai lon, or radishes. We might also be able to harvest swiss chard too. Don’t forget to check out the recipes page for ideas on how to use the veggies from your pack. Since this has been such a challenging spring, I want to highlight something that we are really happy about. 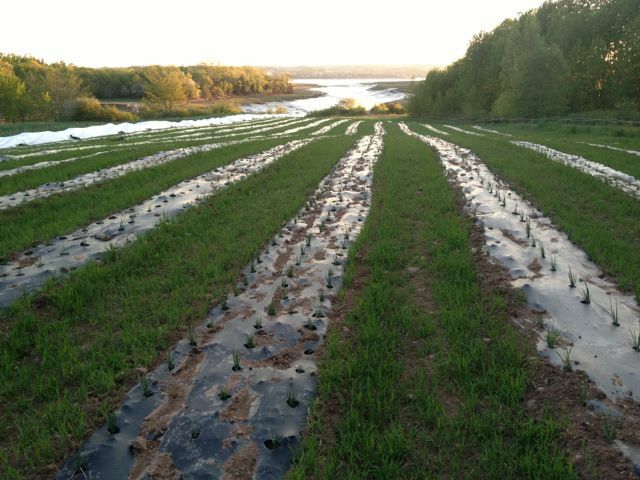 In the field by the river, cover crops of oats and clover were established between rows of crops with biotello mulch (see photo above and below). 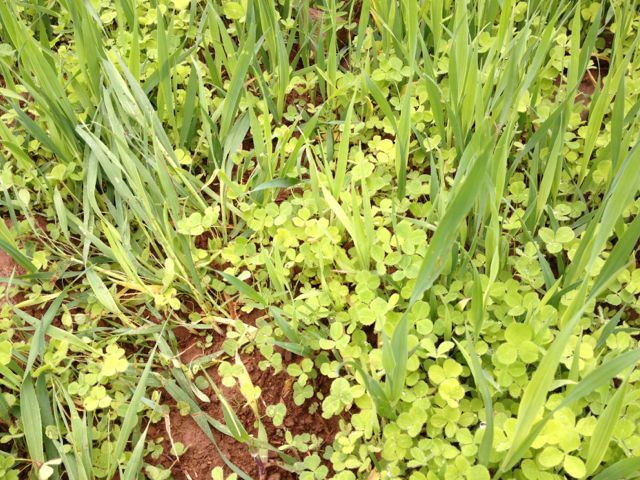 The cover crops help protect the soil from erosion, contribute organic matter to the soil, and the clover pulls nitrogen from the air into their roots to fertilize the following crop. The services provided by cover crops continue to amaze us. It is just so satisfying to see them grow! We also discovered the cover crops make life more pleasant for anyone working in the field. The aisles between crops are not all muddy and slippery, and the cover crop protects the soil from our boots and knees. It is a huge relief that the onions are looking good. We all worried that they might be too stressed from dryness but David and the crew got the irrigation working and now they are looking great! Getting the irrigation going to so many different fields took a huge amount of time and effort, but now we can reap the rewards. Water management is huge on a farm. It seems there is not enough, and then there is too much. One good thing about the dry weather we had is it makes weeding better. 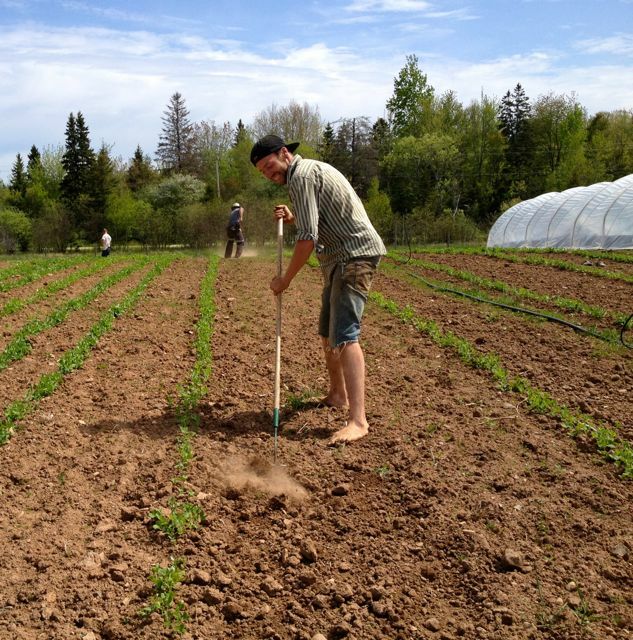 The weeds are pulled out while hoeing, and then they dry out and die. If it is too moist, they’ll tend to re-root and grow again. 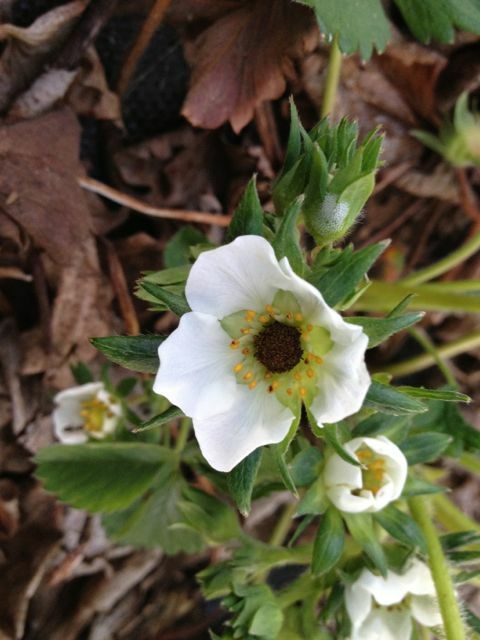 We were looking at the strawberries and boy the crop looks thick, but the centres of many of the flowers are brown. In the photos below you can see the brown centres and the normal centres. I’m not sure if they got frosted, or if they are diseased. 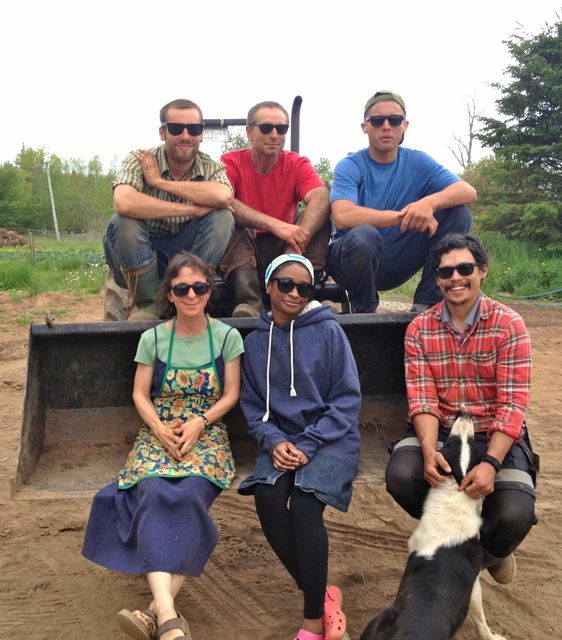 My dad got a photo of the crew hanging out in the bucket loader. We’ll take another at the end of the season and see how people have changed. ← Week 2: Pressure Switch! It was getting warmer … the leaves are finally out! There is hope!! Smile! Thanks. Yes, there is hope.